When you retain Ira A. Serebrin as your attorney, you will receive one-on-one service throughout hearings, court dates, mediation and all of your legal proceedings. He strives to maintain his commitment to providing personal legal services to ensure that your experience with him is exceptional. Ira has been providing affordable legal counsel in Polk County for 46 years. He makes every effort to maintain affordable fees, offers flexible payment schedules and accepts major credit cards at no extra cost to the client. The first consultation is always FREE. The client pays no fees for personal injury cases until the case is settled and the fees and costs are paid out of the settlement proceeds or recovery. ACCESSIBLE – When you have an appointment, it will be with Ira. AFFORDABLE – Free first consultation. Payment terms can be arranged. Credit cards accepted. EXPERIENCED – In his 46 years practicing law serving Polk County, he has handled thousands of family, criminal, and personal injury cases. Ira Serebrin has been serving Polk County for 46 years. Ira began his legal career as an Assistant State Attorney with the Tenth Judicial Circuit in Bartow and opened his own private practice in Lakeland in 1975. He has been a member of the Florida Bar Association, the American Bar Association and the Lakeland Bar Association since 1973. 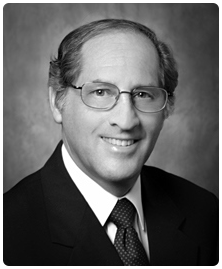 With 46 years of experience in family and personal injury, Ira is equipped to handle your case today.